Transforming Minds – We're all about enlightening us on certain biblical principles that will transform our minds and make us the individuals God wants to be(successful in all we do). We're all about enlightening us on certain biblical principles that will transform our minds and make us the individuals God wants to be(successful in all we do). You can’t remain in your shell forever you know, you can’t keep storing up those negative feelings that come from unaccomplishments in your life. In life, you’ll have pain but know that every pain always forgets to leave gain at home. There are life lessons we learn through the challenges we face, which no philosopher can instill in you by mere words. Coming out of your shell entails telling yourself the truth, talking to someone, embracing love, giving love, and praying(talk to God), He alone knows it all. Scripture tells us clearly, “if anyone is afflicted, let him pray”. When you pray, you literally cast off those loads and burdens that have weighed you down to God. You were never made to walk this earth alone. You really need God to live and to feel alive in your spirit because He is a life-giving Spirit. Jay: Lord, why do I keep doing the wrong things, why am I so inconsistent, when will this hardship end? Lord: I am teaching you endurance and how to call upon me in your distress. You don’t need to remain in your shell, come out, just as you are. I’m here to clean up your mess and to adorn you with my presence. You soar only in my presence, others may choose to walk, run or fly but YOU SOAR! So, buddy you need to pray, enjoy the fellowship of God’s presence, get out of your bed, and start walking towards destiny, no matter how little the steps are. Go on that journey of faith, in the end it’ll be worth it. Stop being afraid of what people will say or think, you owe no man nothing except love. There’s love out there, embrace it, there’s love within you, give it. Reach out to people, truth is we all need each other to pull through, you can’t do it alone. Finally, pray, again I say, pray. He listens to the cries of your heart. He is the one behind the wheels of your life and he’ll surely get you to that place of destiny. Letter to my Lord: Lord, right now, I’m weak and helpless all by my self, strengthen me for the journey ahead, bring me to that place of fellowship with your Spirit. Set my heart ablaze for you, my Lord. For in the end, the ultimate goal of life was always and is still to know You, my Lord. Thank you so much for your unending love. Your son, Jay. Where then is all this leading to? I’ll tell you. Though the servant had been assured success on his journey , he still through what he had learned from his master recognised the place of prayer concerning what ever he set out to do. He prayed for success, he prayed for guidance, he prayed for his master. The servant prayed. He was so much concerned about his master’s business that he forgot not to pray for success on his journey. The servant did set out on this journey with purpose. This is the attitude God would like for us to have concerning what ever is placed in our hands. God loves a faithful servant. This attitude is called the attitude or spirit of excellence. Those who commit their ways to God have understanding. It is also important to note that the servant did not associate success with wealth, influence, confidence rather he associated success with prayer. He recognised that God grants good success to those who trust in him. 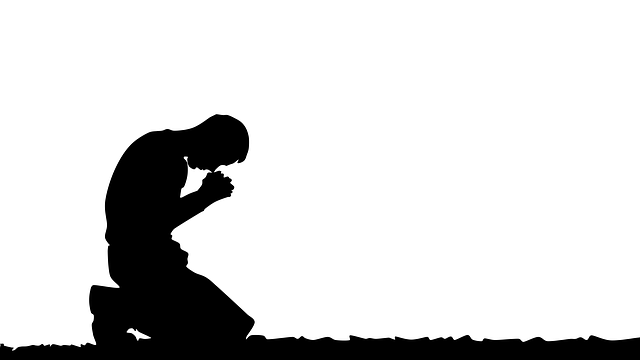 After God had granted him success the scripture says he bowed down and worshipped. He recognised the importance of worship and thanks giving. Live a life of gratitude. Then the man bowed down and worshiped the Lord, saying, “Praise be to the Lord, the God of my master Abraham, who has not abandoned his kindness and faithfulness to my master. As for me, the Lord has led me on the journey to the house of my master’s relatives. This is the attitude we need to have in order to attract God’s favour, guidance and blessings. Never rely on your strength, confidence, influence, power etc instead rely and trust in God. After you have done what you can in your power commit whatever it is to God. Commit your daily affairs to God in prayer. This will make your life journey a success. Hello guys! I’m sure we all are having a great time. It feels good to see a new year, so we can only thank God for his mercies. I’m sitting in the church arena and there is this inspiration to write that has been lost for quite a while. During those times i did ask my self sometimes what really was wrong, why the thoughts in my mind don’t seem to align so that a could write could be formed, but i realize that for the thoughts in my mind to be aligned and for it to create the things you want your spirit, soul and body needs to be in a pure state of harmony. In this there is a rythm to the things that are being put out in writing flowing from the genuineness of our inner most being. This is true. When your mind is in this state of harmony it begins to produce thoughts that can have an impact in the world we live in, that bring with it pleasantness of the soul, joy, satisafction and peace. But one thing you must do is to move with the flow, once there is an inspiration in your spirit to do something just go ahead and do it before you fall into a state of analysis paralysis. I’ll like to mention that you must love people. Make loving a habit, do good and trust God while doing good. This is so important. Keep being inspired, keep doing good and remain focused, steadfast in Gods direction. I pray for divine inspiration and a strong discipline to keep walking in Gods direction no matter what we go through in Jesus name. Amen. Hey guys, it’s 1:45 pm, a sunny day here in Lagos, Nigeria. Where ever you are in the world reading this I really hope you are having a great time and also getting into the Christmas spirit. Let’s take out time to talk about the concept of ‘just do it now’. It’s so crucial for us in our everyday lives to get things done. There are quite a lot to be done, some people are good at getting things done while some don’t just get things done due to procrastination or thoughts of ‘I can’t do it’ and this ultimately leads to excuses. This is one of the reasons why majority of people in the world today blame other people for their faults and failings. They have not learnt to be responsible for the things that happen in their lives so they take it out on society or other people. Truth is, society has no business with who you are tomorrow or where you will be, it is your responsibility to get whatever you want. Nothing is going to fall on your laps just like that, you have to go for it tenaciously. One of the marks of successful people is that they get things done, no matter how hard it is, they just get it done. They might just be going through the motions but they get it done anyways. They don’t feel like reading, they read, they don’t feel like working out, they work out, they don’t feel like writing, they write because these things build them and makes them strong, though they are painful. Quit running from things that are uncomfortable because it makes us stronger. I know there are a lot of people who are just somehow planning how their new year resolution is going to be like. How they’ll start reading, that diet plan, that work out plan whatever it might be. The painful truth is that you might never even start on the 1st of January or the 2nd or the 3rd, some will say okayy let’s take one week break c’mon the year is just starting, there’s still 11months and 20 days to go. And you know what this does it creates a continuum of these excuses and your goals are never accomplished in that calendar year and more excuses keep coming. You can avoid this by just starting now, yes it’s not a new year yet but there’s no rule that says you must start on the 1st of January, just start now, do it now and by then your body and mind would have adjusted to the whole process. What ever your plan might be just begin to do it now so you get used to it at the start of the new year. Make up your mind and decide to grow through the pain of self discipline. Hiii guys. So here I am at the park getting ready to go back to school after a very elongated holiday and I’m just sitting here thinking how important it is to give thanks. Many of us don’t actually realize the importance of these two words ‘thank you’. 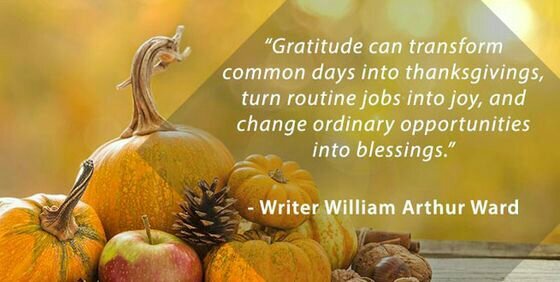 Be it to people or God, giving thanks is so important it cannot be overemphasized. It creates an atmosphere of blessing, favour, peace and much more for us. Learn to say thank-you no matter the situation you face, I know it’s easier said than done but when we rely on God’s strength working in us we can do anything no matter how difficult. I’ll really like for us to practice this amazing act of saying “thank you”, when things are good or bad say “thank you Jesus”, when someone does something good to you say “thank you”. You could even go further to journal the things you’re grateful for, *a gratitude journal*, sounds weird but it’s super cool plus the benefits that come from gratitude and then going further to journal it is really awesome. Praise and Gratitude towards God is the highest expression of your faith in him. Expressing gratitude brings restoration (Luke 17:11-19). The one leper who was grateful was made “whole,” wow. Gratitude elevates your spirit to a place of supernatural blessings. Things seem to be going as planned. You didn’t get that praise you deserved. Point is in every circumstance you find yourself give thanks. Okayy, before I round up, I’ll really like for you guys to join me in a 30-days challenge to pen down things we are grateful for each day for 30 days and you’ll be amazed the blessings that follow. God strengthen and bless you as you join me in this. Amen. Thank you Lord Jesus for giving us the grace to be thankful in all circumstances.